Banks are not disbursing even the restricted amount and are rationing cash as amid weak supply. 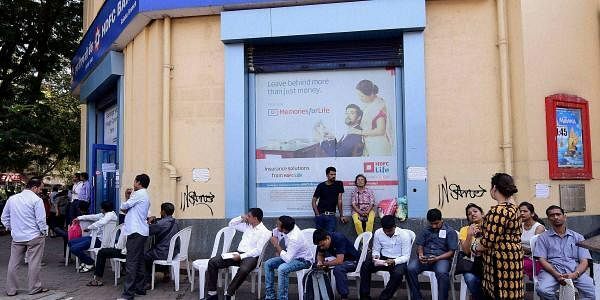 NEW DELHI: Restrictions on withdrawal of cash from banks and ATMs are likely to continue beyond December 30 as currency printing presses and RBI have not been able to keep pace with the demand of new currency notes. After the demonetisation of high value Rs 500/1000 notes, the government has fixed a limit of Rs 24,000 per week on withdrawal from bank accounts and Rs 2,500 per day from ATMs in view of the currency crunch that followed. Reserve Bank of India has infused Rs 5.92 lakh crore in the banking system between November 9 and December 19 against Rs 15.4 lakh crore of scrapped notes.